One of the wonderful things about homeschool preschool is that no two look alike. There’s really not one right way of teaching your toddler or preschooler at home. It’s all about finding the rhythms and routines that work best for where your family is at right now. When people ask me for homeschool preschool advice, sure I tell them my thoughts about game-based learning, soaking in real-life experiences, and saying no to screen time. But I also tell them this truth… You’re the best teacher for your child. You know how your little one reacts to different stimuli, you know whether they thrive on a strict schedule or on a more relaxed routine. You know what their natural strengths and weaknesses are. That’s why in this post I want to share with you words of wisdom from a few expert homeschool preschoolers. Every one of these mamas comes from different backgrounds. They have unique families. They teach real little people, not robots, just like you. So, I asked them “What one routine or habit gives you the most success in your homeschool preschool?” I was thrilled with how different each answer was, and yet I know that at least one of these bits of wisdom will speak to where you are at on your homeschool preschool journey! 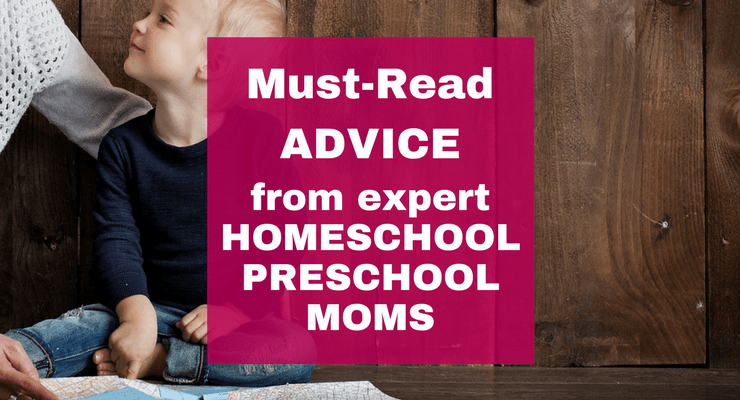 So, grab a cup of coffee and soak in this must-read advice from tried and true homeschool preschool mamas. Be sure to go browse their blogs, too! 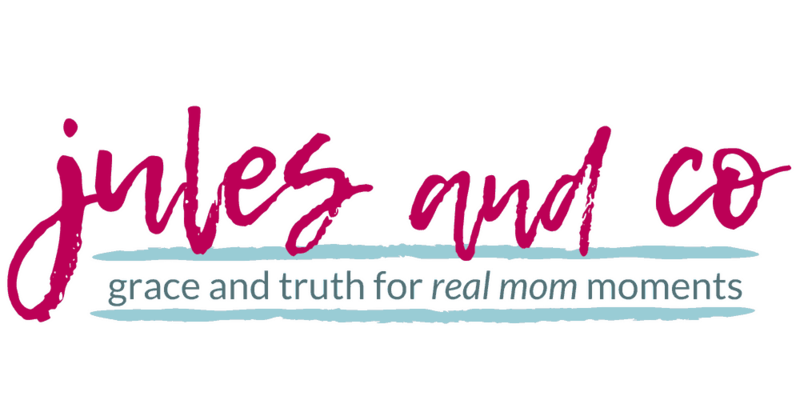 These mamas have tons of encouraging reads on their sites. I have found the most success in my homeschool preschool by following the lead of my little one. I love to make plans and choose activities, but at the end of the day if my child is not interested, he’s just not interested. If he wants to read a book two or three times in a row, then that’s perfectly okay! I want my child to love learning, so I make sure not to force anything on him. Preschool is such a fun age and the time is so short. I want to make it fun for both of us! I love what Joanie says here. 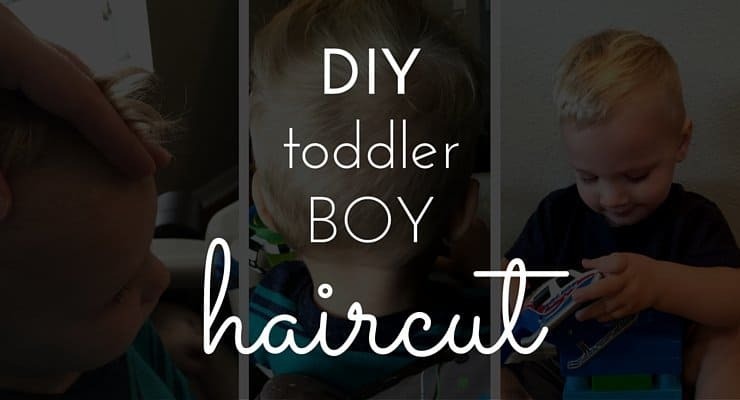 It really is so true that these toddler and preschool years are short! Sometimes the days seem so incredibly long, but it’s so important to keep things fun and relaxed. Our kids will have plenty of years ahead of them for intense study and learning. When they’re little I agree with Joanie that the goal is to nurture that curiosity and creativity from an early age. 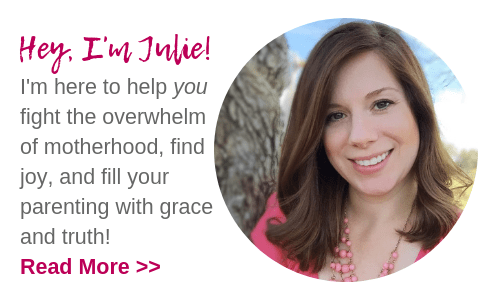 Joanie has a super helpful resource available on her blog. I love her Homeschool Preschool Planner! It will help you get organized and be intentional about creating a successful homeschool preschool. Is too much screen time getting in the way of your child’s curiosity and creativity? Learn how to tackle screen time once and for all in my Unplug + Unlock course! Developing the habit of attention has been a huge help to our preschool at home! Our Charlotte Mason approach doesn’t revolve around lots of academics: instead, we spend a lot of time observing things in nature, at museums, or just everyday objects. Since we started working on developing the habit of attention at a young age, my four year old can give her full attention to whatever the task at hand is, which means we don’t have a lot of repetition or frustration. 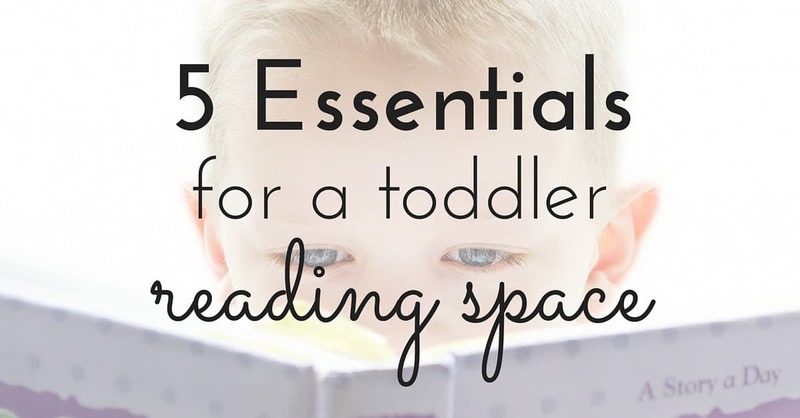 When it’s time to read a story or learn some letters, we don’t have to struggle with focusing. Leah is spot on with this word of advice. I’m a huge fan of the Charlotte Mason approach, too, and I’ve seen the benefits in our own homeschool preschool. Is it important for your toddler or preschooler to learn letters, shapes, and numbers? Absolutely! But it’s equally, if not more important to sieze these early years as the perfect time to teach habits that will last a lifetime. if you take the time to teach your child habits such as obedience and attention, you’ll reap the rewards for years to come. Leah actually has an awesome resource for teaching your child these powerful habits. Habits for the Early Years: A Mother’s Journal is a habit training journal that gives you practical steps for helping your children form positive habits in their early years. It is packed with widsom and tips to tackle this tough job of habit training! Struggling with teaching your child to focus and pay attention? 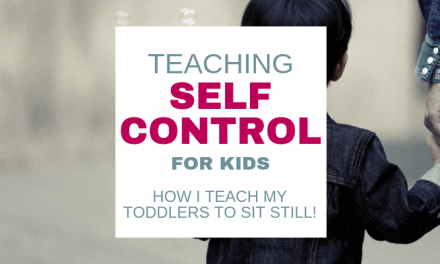 Read how I taught my son to finally sit still and listen! I always pick my theme first so that I can easily tie all of our learning activities together – pumpkins in fall, snowflakes in winter, etc. Even though my 5 year old might be working on a sight word activity while my 3 year old is practicing the alphabet, matching the theme brings continuity. Malia’s blog is one of my favorite sources for real learning activities that aren’t super stressful to put together. What I love about her quote is that it speaks to this truth: If homeschool preschool is overwhelmingly stressful for you as a mom, you’re doing it wrong! Make it easy on yourself, mama. 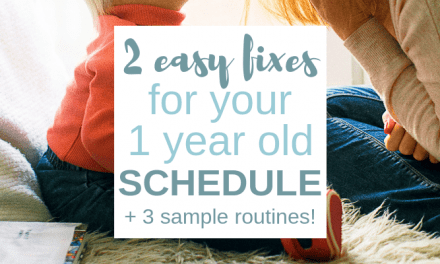 Choose themes as Malia suggested, and make your homeschool preschool work for you even with multiple ages to teach! Malia is a master when it comes to creating fun, hands-on learning activities. Be sure to check out her shop full of learning packs and printables! Want to teach your child God’s word and early learning skills at the same time? Get the best of both worlds with my Early Learning Bible Curriculum packs! On Sunday night, I gather any workbooks/supplies I want to use in the coming week – usually placing everything down in a basket. Once a busy week begins, everything I need is right there at my fingertips…which ensures the activities will actually happen as I hope. What practical advice from Elizabeth! I’m sure we’ve all been there… tons of ideas for what we’re going to teach and learn that week. But when Friday evening comes, we look back and realized that none of those cute activities got done! Elizabeth’s tips for planning and organizing for the week are so helpful for those super busy days we all seem to have. I love the idea of having everything all in one place and ready to go! Elizabeth is a serious inspiration when it comes to teaching little ones at home. 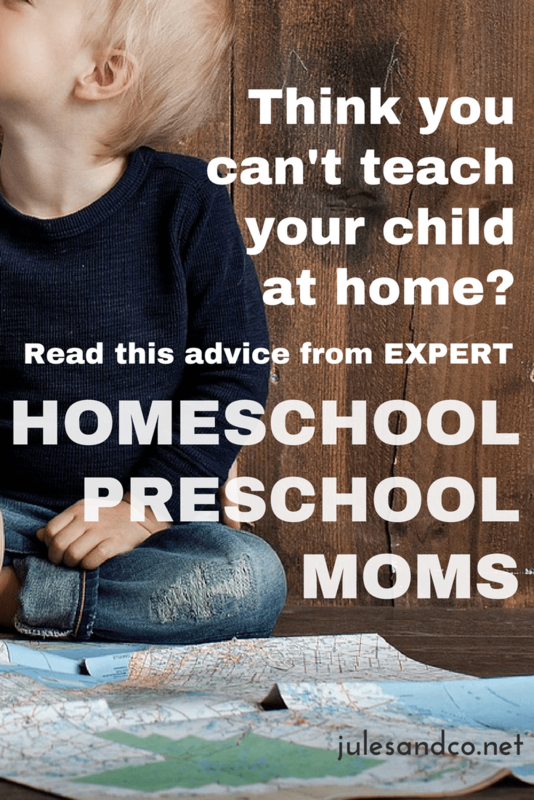 She wrote an amazing eBook called Homeschooling Your Preschooler. 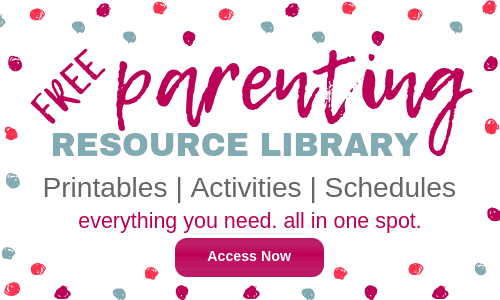 Elizabeth walks you through every step of planning your homeschool preschool, and offers tips and tricks that help her stay organized and on track! So, mama. What will your homeschool preschool look like? Are you leaning toward more planned out hands-on activities? Do you prefer to capture those “teachable moments” in your daily routine? Whatever your plan is, I’ll tell you this. You can do it! Seeing those little eyes light up with new knowledge, capturing those moments of pure awe as they discover and explore…there’s nothing like it! Be sure to download my free homeschool preschool checklist below! It’s the perfect start, with action steps for each day, week, and month. I pop my checklist on the fridge in a platic sheet protector. Just write in your goals and erase as needed! There’s no reason you can’t start today to gain confidence and inspiration on your homeschool preschool journey.